NOTE: Matte Black Laminate Is An Upgrade Option On This Model. A player’s table in a modern style. The Monarch features a one piece hard wood rail system that is bothe beautiful and durable. 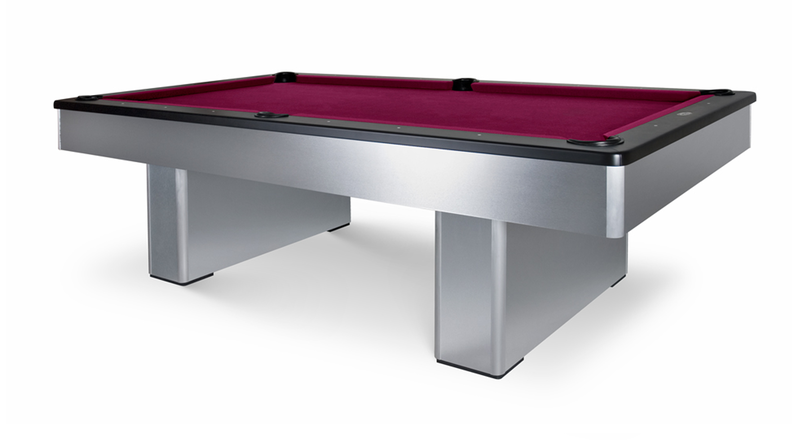 The Olhausen Monarch pool table is perfect for the serious player or the family that would like a modern centerpiece. Shown in brushed aluminum.